Home A List Categories News Is Steve Harvey a Bigot? Is Steve Harvey a Bigot? Hate speech towards atheists has become so casual and commonplace that the studio audience and Tyra laugh. 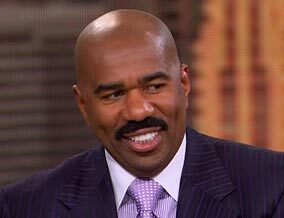 Is Steve Harvey a Wrong for His Hate Speech Toward Atheist? You often hear Christians talk about tolerance and not being judgmental, but then you just as often see them exhibiting this same behavior. Is it not hypocritical when it comes to Christians? I think that is a bit prejudicial towards atheist. Just because someone does not believe in God does not mean that they do not have morals of some kind. That is why you get to know them first. Respect is more what it is about. Having a closed mind is not the Christian way, it does not show love, compassion, or even seeing how someone else sees the world. There are many heads of all denominations of churches that teach how they see what the bible means. We listen, take what we can from the lesson and put it to use in our lives. For an atheist, they learn from daily living and other people that they come into contact with teach us daily lessons. I am a Christian, and that happens to me daily also. Atheist are no different than anyone else that goes to church and believes in their God. Steve Harvey definitely did not think about this before he started talking and maybe he did it to impress Tyra Banks, who knows. I know he is human and can make mistakes just like the rest of us. I pray for him to see the light.